You might not equate Walt Disney World with fine dining, but, there are several Signature Restaurants around Walt Disney World, where you can enjoy some very good food from award winning chefs, unique menus, wine pairings and beautiful surroundings. This does come at a price though, and Signature Dining is expensive… which is why we made use of our Deluxe Disney Dining credits to dine at these restaurants, without having to worry about the cost! There are a couple of Signatures in theme parks, and the dress code is more relaxed. It’s not overly enforced from our experience at other restaurants, but you could see that most people had made an effort to dress up a bit to go out, which we really enjoyed doing after a hot day at a theme park! As long as you are neatly dressed and presentable, you will be allowed to dine. This is going to be a fairly quick post as I’ve fallen behind on my 100 Days Of Disney and need to play catch up! 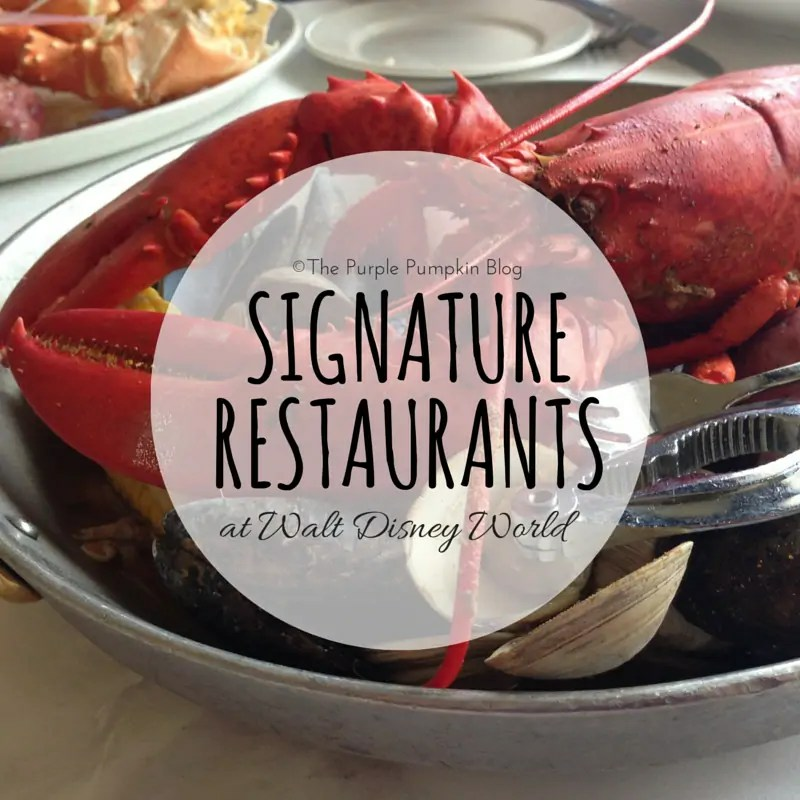 I’ll go into more detail in another post, but for now, here is a list of all of Disney’s Signature Restaurants that are available on the Disney Dining Plan (some aren’t), with photographs from the ones we have dined in, and links to the trip reports that you can find out more about them. On the Disney Dining Plan, Signature Dining is 2 points per person, and you are entitled to one appetizer, one entrée, one dessert, and one non-alcoholic beverage (usually refillable). Thanks for reading Day 21 of 100 Days of Disney 2015! 79 to go! Come back tomorrow for another Disney post!